Try out trials, offers, demos, announcements, etc. from our readers. 2. H.Res.109 [116th] Recognizing the duty of the Federal Government to create a Green New Deal. Uber Technologies Inc has decided it will seek to sell around $10 billion worth of stock in its initial public offering, and will make public the registration of the offering on Thursday, people familiar with the matter said on Tuesday. Wall Street is bracing for large U.S. companies to report a decline in quarterly profits even after raking in higher revenues, something that has not happened in more than a decade. S&P 500 companies due to report in the coming weeks face tough comparisons with last year, when the U.S. tax code overhaul helped boost profits by more than 20%. With more than 97 percent of votes counted, Netanyahu’s conservative Likud party looked likely to muster enough support to control 65 of the Knesset’s 120 seats and be named to head the next coalition government. It would be his record fifth term as premier. European Union leaders will grant Prime Minister Theresa May a second delay to Brexit at an emergency summit on Wednesday but will argue over how long and on what terms as they struggle to end Britain’s troublesome membership. John Cornyn (R-Texas) on Tuesday urged the White House to coordinate on nominations to avoid the “embarrassment” of the Senate rejecting one of President Trump‘s nominees, warning “it’s not a given” that all will be confirmed. Cornyn, asked about Herman Cain’s floated nomination to serve on the Federal Reserve Board, said the “bigger issue” was that the White House needed to “consult” with Senate Republicans before making a nomination. Compounding the frequent departures of senior leadership are the existing vacancies that have yet to be filled. At this point, the Trump Cabinet has an acting chief of staff, acting Defense secretary, acting Interior secretary, acting director of the Office of Management and Budget, and now an acting secretary of Homeland Security. Of these “actings,” only acting Interior Secretary David Bernhardt has been nominated to assume the role on a permanent basis. In addition, many Senate-confirmed positions across the executive branch have remained vacant since inauguration. The Partnership for Public Service, which monitors federal vacancies, indicates that 140 Senate-confirmed positions have no nominee after 27 months in office. Put differently, the White House has original vacancies on top of recent vacancies—working in the Office of Presidential Personnel must be like drinking water from a fire hose. In theory, the path to employment providing financial security in adulthood is simple: finish high school, enroll in and complete college or training that is affordable and a good fit, gain some work experience along the way, and launch a career. But given that 17 percent of young adults ages 18 to 24 are out of work in mid to large cities in the U.S., totaling 2.3 million young people, this path does not appear to work equally well for all, particularly in light of the effects of the Great Recession and the declining rates of employment among teens and young adults since about 2000. Though millions of young Americans are out of work, they are not monolithic. The Defense Department is putting legacy applications on the back burner as it pushes toward an interconnected cloud environment. John Hale, the Defense Infrastructure System Agency’s cloud chief, said during FCW’s cloud summit April 9 that DOD is sifting through its legacy applications, many of which are entangled with one another, and deciding what to do with them long term. 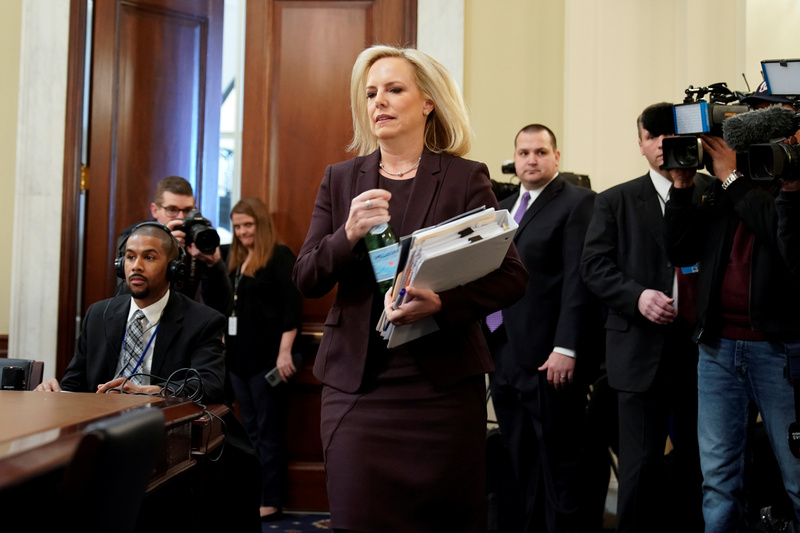 Department of Justice officials told a House appropriations committee the agency wants funding for a small program that will be a force multiplier for the security of its IT operations. In a House subcommittee hearing on the Justice Department’s proposed fiscal 2020 budget dominated by questions concerning Special Counsel Robert Mueller’s report and other contentious political issues, agency officials mentioned a new, but small, IT program aimed at protecting data in the cloud as a key to the agency’s future cybersecurity. Unleash your organization capability with Collaboration Center. Try out DEMO.